The only thing more adorable than an itty bitty bunny? An itty bitty human pretending to be an itty bitty bunny. 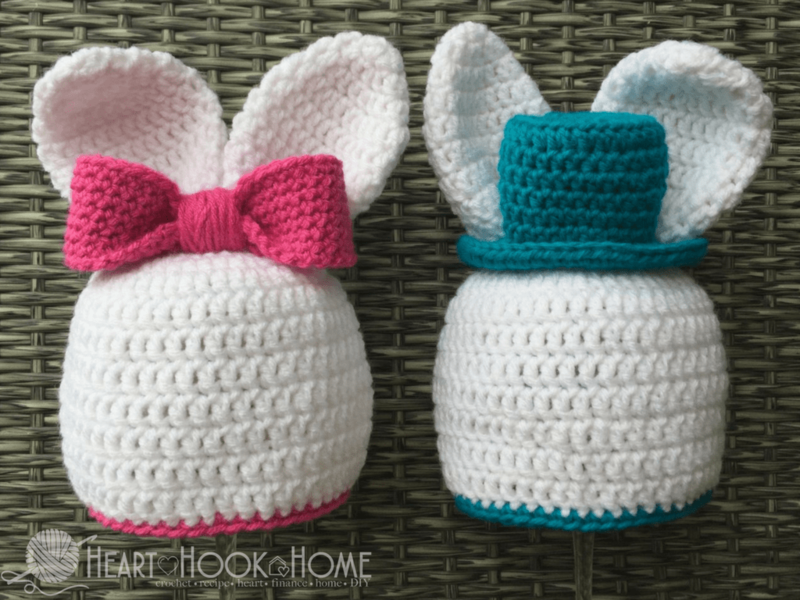 Good thing too, because we have a BRAND NEW and super adorable bunny beanie with ears free crochet pattern to use for Easter! 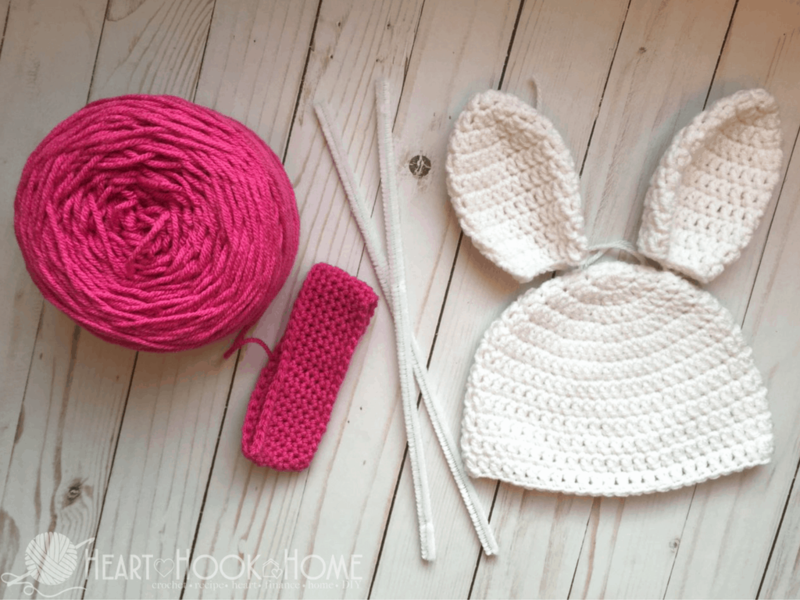 This Easter themed bunny beanie hat pattern starts with a basic beanie (get all different sizes of beanies here) then we attach two ears along with a bow and voila! You’ve got yourself a bunny. 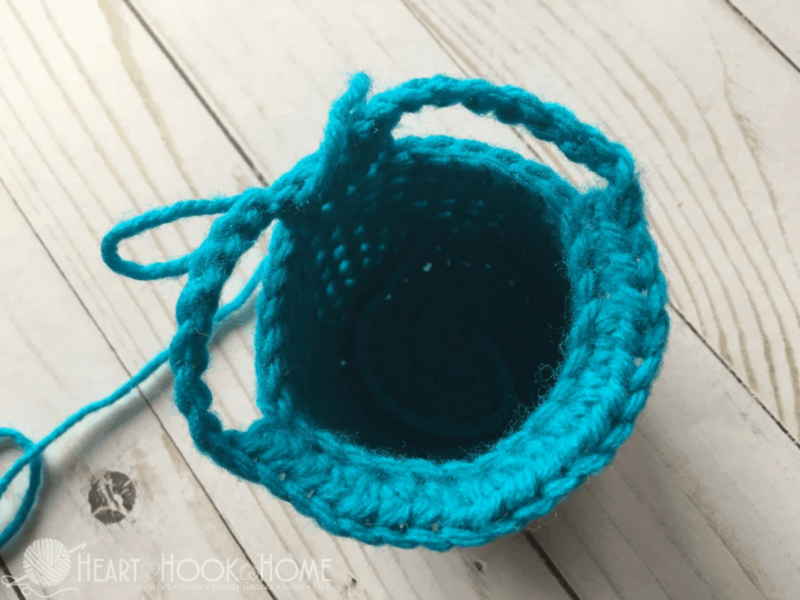 This pattern is very easy as far as skill level needed; the only stitches used are the chain stitch, double crochet and single crochet. 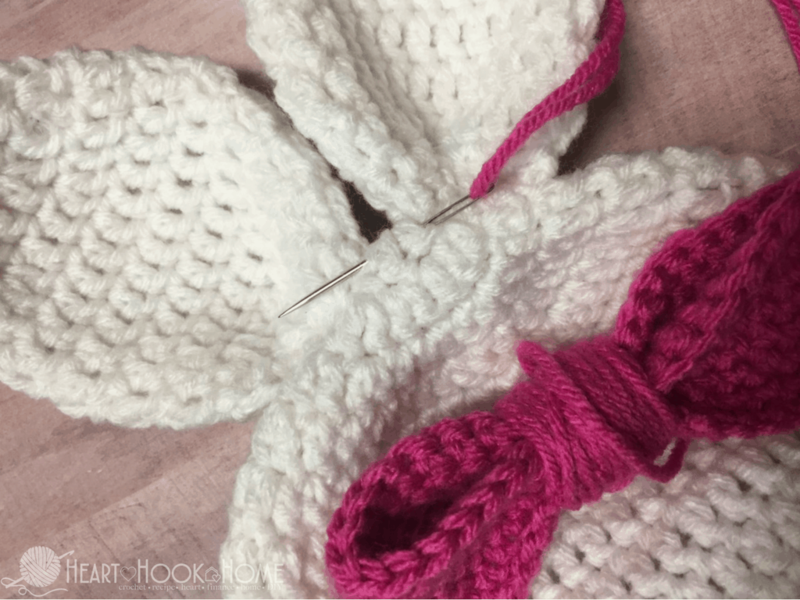 After we make the beanie, two ears and the bow or top hat, we will simply sew them together and we’ve got an easy peasy bunny beanie! 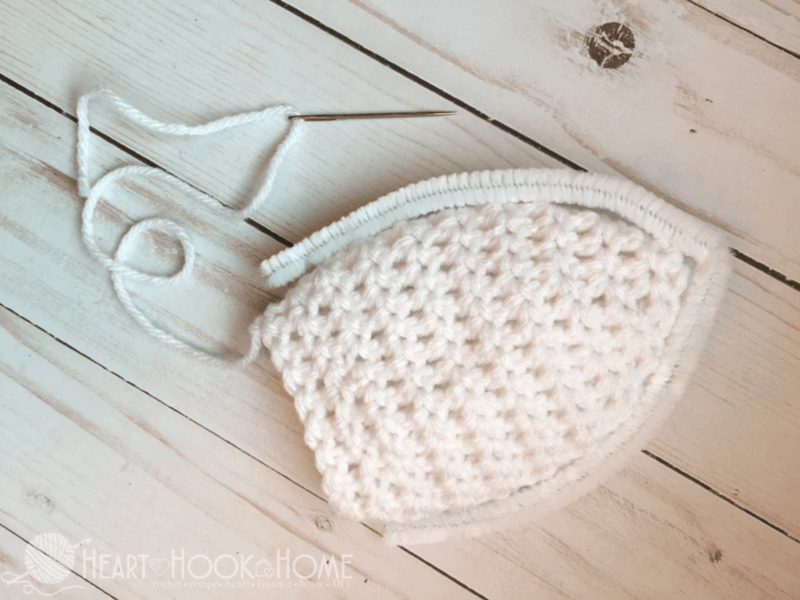 ***NOTE*** If you need a different size beanie (from newborn to adult!) 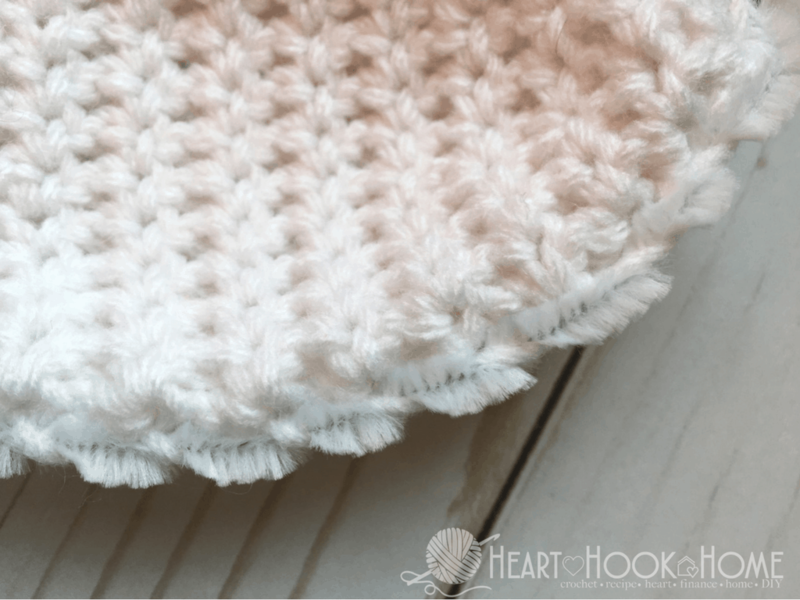 you’ll want to use my master beanie pattern. When finished, continue making the ears and bow or top hat below and move on to the construction as noted. Turn ears inside out, and whip stitch around pipe cleaner as shown (being sure not to make the stitches go all the way through to the other side lest they show). Fasten off and weave in ends, then carefully turn ears right side out. Bend pipe cleaner ends in so they aren’t sharp and pointy. Form them into bunny ears and set aside. Fasten off leaving a super long tail (we will use the tail to make the center of the bow). Find the middle of the “bow” and pinch together as shown. 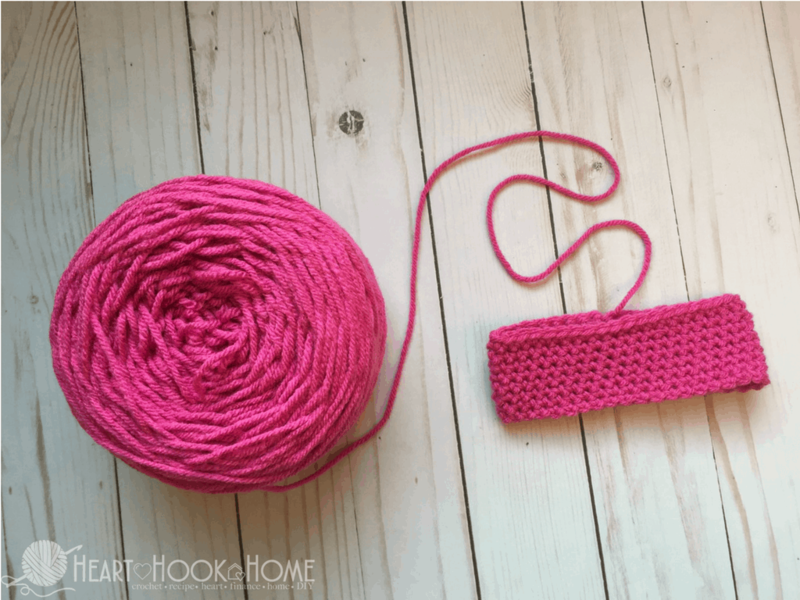 Wrap yarn tightly to hold its shape, and continue wrapping until you reach desired bow center width. On back side, use your upholstery needle to secure the end, leaving a long enough tail to then attach the bow to hat when ready. Set aside. 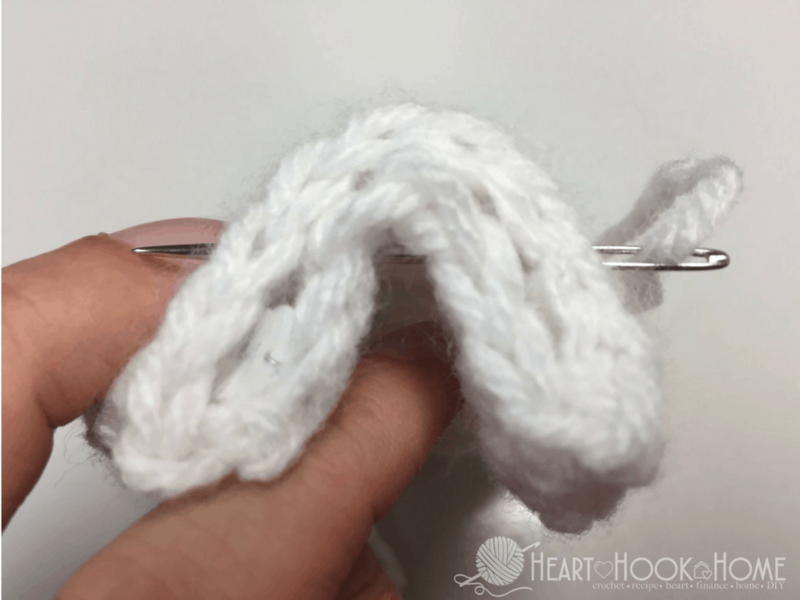 Fold bottom edge of each ear in half and, using your upholstery needle, thread white yarn through to keep the ear puckered at the bottom – as in photo. Make them as puckered or as flat as you like. Position the ears at the top of the beanie. I positioned mine to span two rows each, the 2nd and 3rd rounds on each side of beanie. Sew ears on as evenly as possible. I sewed mine more securely in the front so that they hang forward just a bit (instead of lolling backward). After we place the bow it will offer additional support so that the ears remain upright at all times. 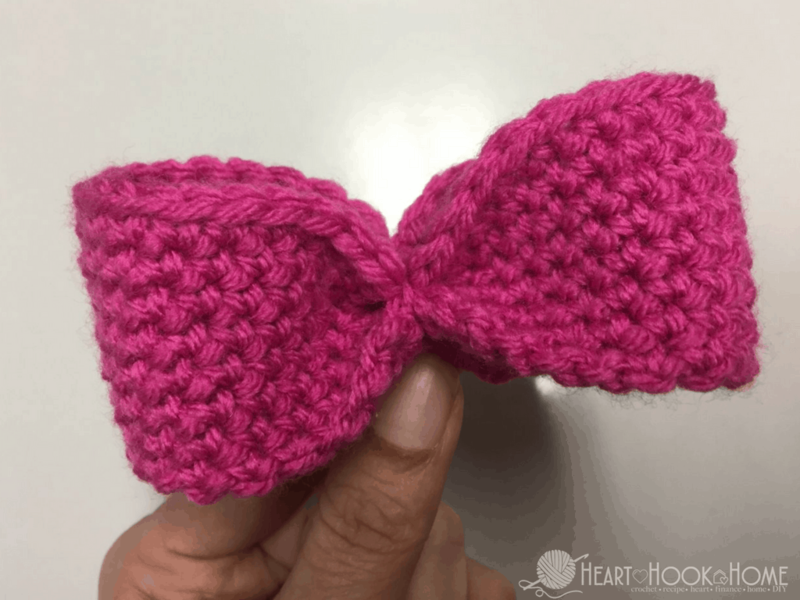 Add the bow directly to the center of the beanie, in between the ears. Sew on securely and fasten off and weave in ends. How easy was that?! Ready for the top hat instead? Read on friend! If you’d like the bunny beanie to be a little more “boyish”, use this top hat pattern instead. 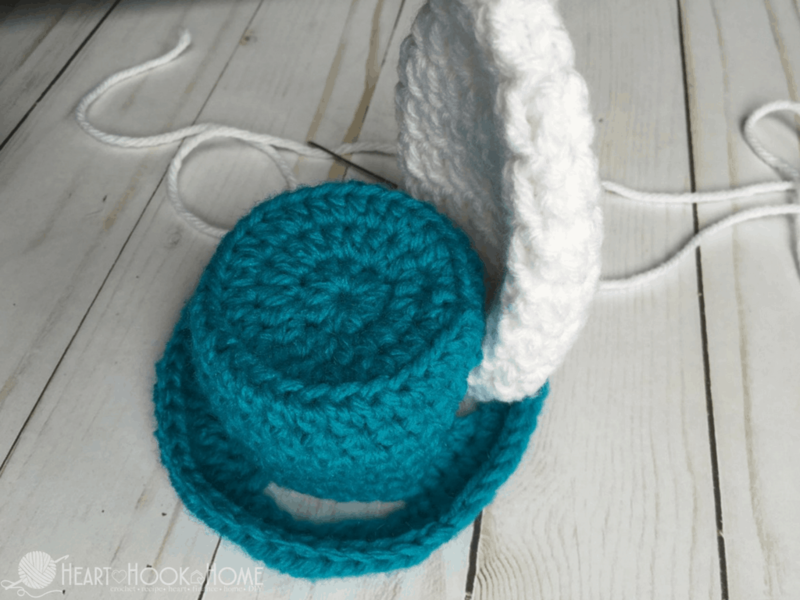 When finished crocheting the hat, you’ll take the ears and slip them into the holes created in the chain spaces made in round 10. Sew the ears on to the hat from the underside. White ear to white hat. Sew them on as evenly as possible, pulling tighter on the front side of the ears so that they don’t fall backward. 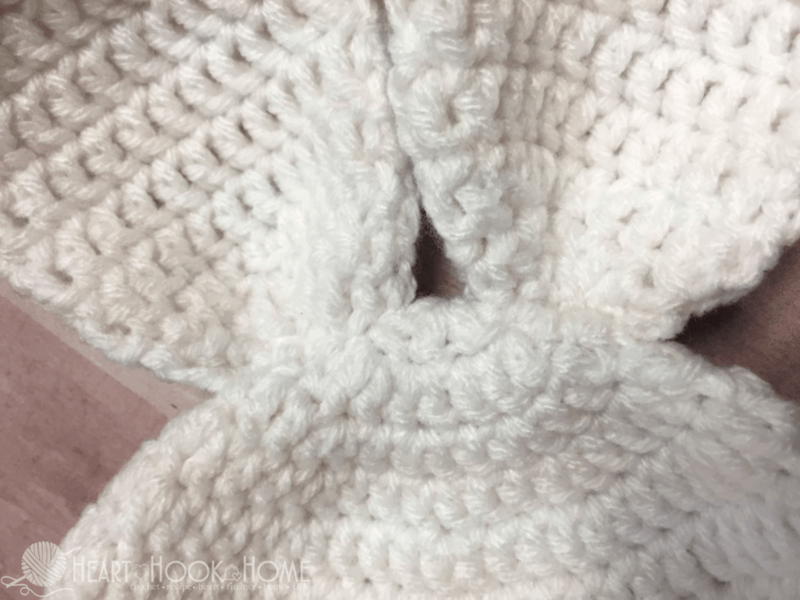 When finished sewing both ears on (through the holes in the hat) carefully attach a few stitches along the front of the brim of the hat, just to keep it from moving around. Be careful not to allow the white to peek through the top of the brim. Is Impecable yarn a brand name from Michael’s? Hi Sherry! 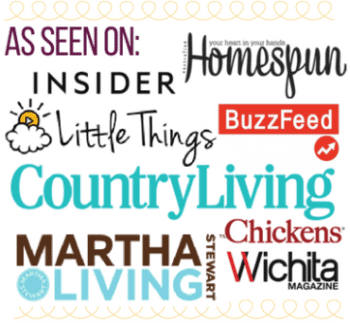 Yes, Impeccable is from the brand Loops and Threads which is only carried at Michaels. Made the girl one. Came out great! Thanks for sharing!! How very cute!! 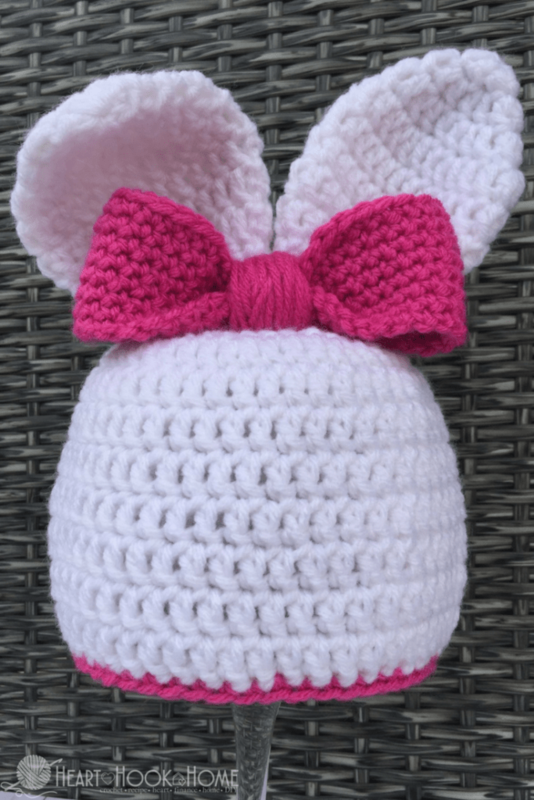 My granddaughter has a bunny and I'd love to make this for her. Thanks for sharing! You are welcome! I hope she loves it. Imhaving a problem with the ears I'm following the pattern but its a circle not possible to make ears from it HELP !!!!!!!!! I made both, the male & female version. The female one was much easier and the ears stand up. The male version was difficult and the ears are floppy. The instructions are a bit confusing on the male one. "White ear to white hat"..? Oh my gosh - this is the MOST adorable bunny hat I've ever seen!!!! Have GOT to make this - going to Michael's today!!!!! Thank you for sharing! 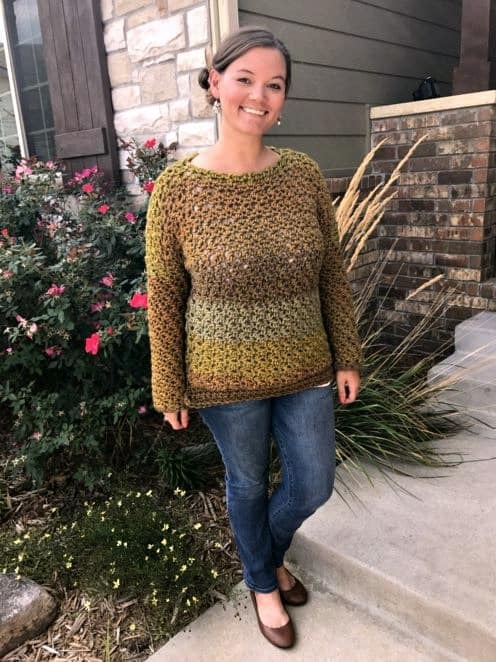 What yarn did you use exactly? This was Impeccable from Michaels.